If we trace what happened far in the past, the island of Sumatra had its shares of intense interactions with the civilizations from the Middle East and India. Specifically, the West Sumatra province has been known as a region rich with spices and fertile lands. That’s probably why the Arabic, Persian, and Indian merchants were particularly fond dealing with the people there. That’s also what naturally caused the West Sumatrans became so avid with anything related with chilies or coconut milk, apart from the fact that they have the best cooks in Indonesia and the most extensive types of dishes I have ever seen compared to any cuisine around the globe. As time went by, they began to use different produce, spice, meat, and even difficult techniques in preparing such harmonious ensemble of meals from breakfast to dinner. This is something that we would generalize about Minangkabau cuisine. 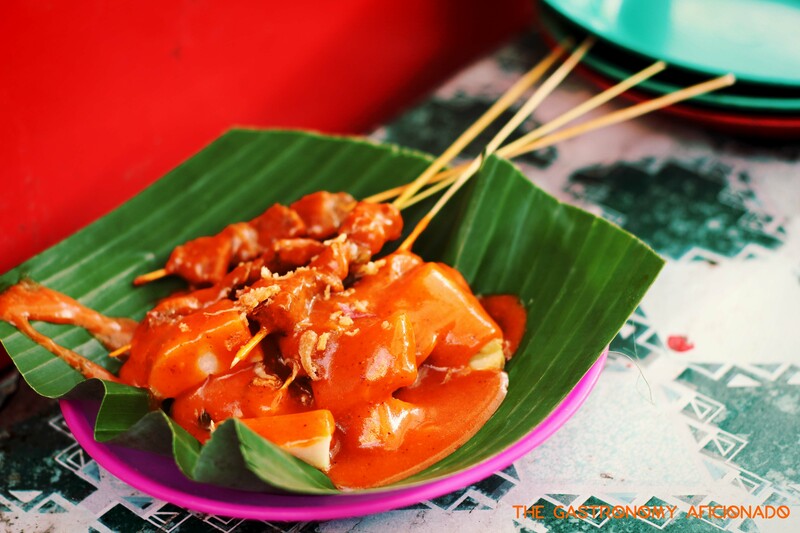 I found this particulary spicy sate padang from a warung far in the eastern regency of Dharmasraya. It is clearly the Pariaman-style as told by the owner and the characteristics as you can see there. 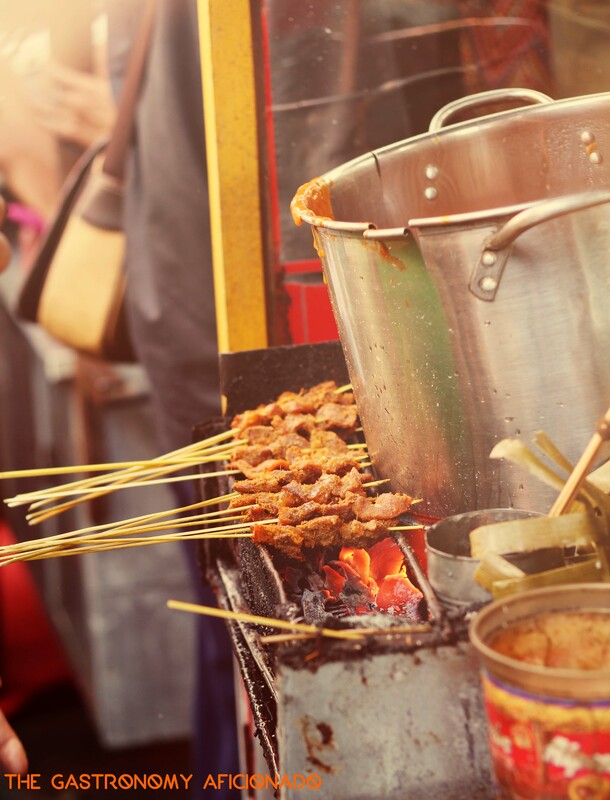 For Sate Padang – the traditional satay of the West Sumatran people, there’s little information about how it was actually started, except from some claims that the citizens of Padangpanjang were the real inventors in the 19th century. Today, the town becomes the capital of sate Padang and is represented by Sate Padang Mak Syukur with a big restaurant there. 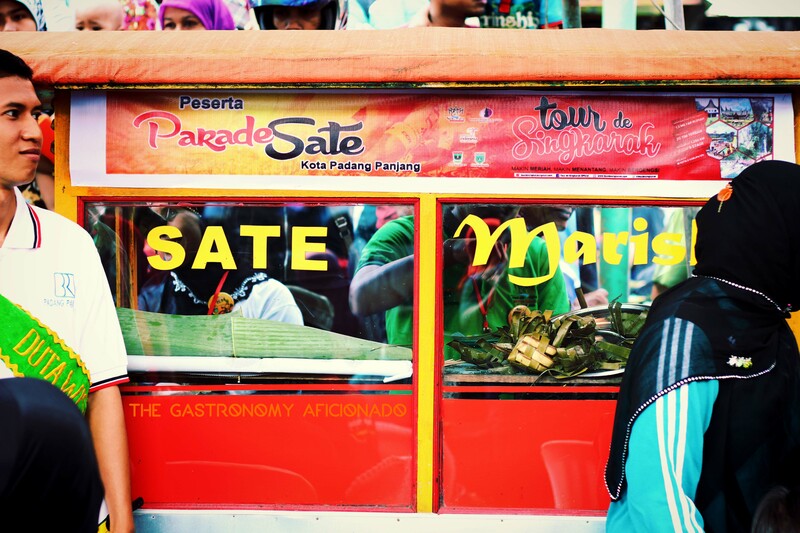 During the Tour de Singkarak festivity, the mayor of Padangpanjang generously hosted the sate Padang parade where people can order satay for free. This one is another interesting take as it has an orange color, not too spicy, but highly umami. I like it! However, in early 20th century, many people flocked from the mountainous region around the town to the coastal city of Pariaman to learn more about Islam. That time Pariaman was known to have the best madrassa in the whole country of West Sumatra and even some people that I know personally claim so as well. After all, the city is the very gate of so many influences coming in to the province since long ago. 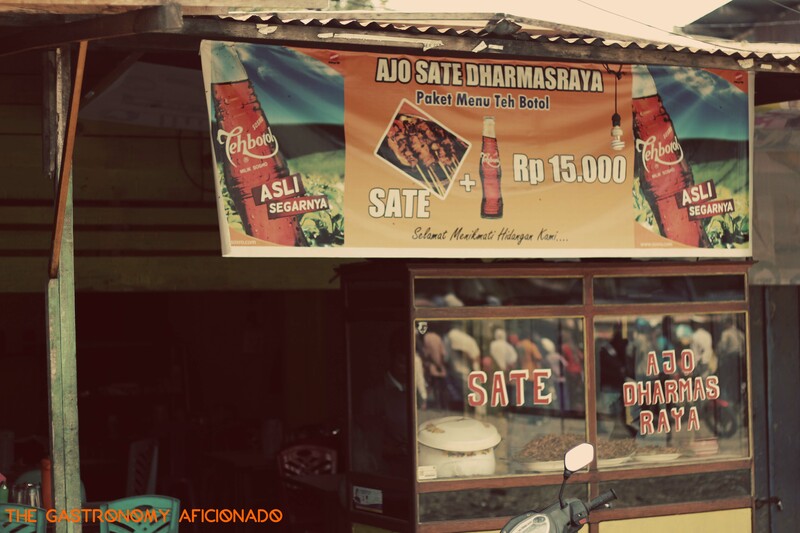 From these trips done by the students and scholars of Islam, they eventually introduced the recipe of sate Padang to Pariaman and the people there ultimately developed their own version of it. The rule of thumb on how to differentiate sate Padang from Padangpanjang to Pariaman is the very color. The Padangpanjang version uses more turmeric and that makes the color yellow, while the Pariaman people use more chilies for the sauce, making it red. 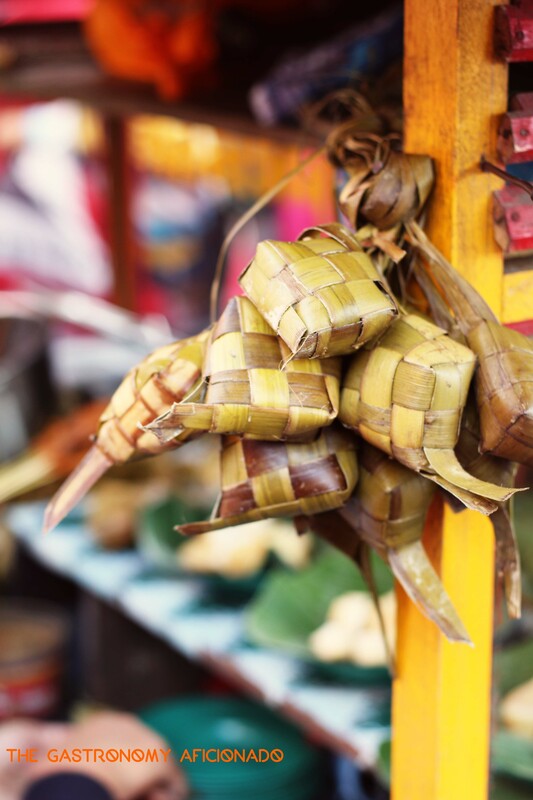 Additionally, the people of Padang city also developed their own version and the recipe revolves in-between Padangpanjang and Pariaman. The rest is pretty much what you see commonly about how they serve it, how they spiced the meat, which parts are commonly used, the rice cakes, and the thick, spicy sauce that we all love so much.